Thousands of years after the fall of Humankind, the Four Lands is in grave danger. The fate of the world rests on the shoulders of an unlikely trio: an Elvin Princess who dreams of a life outside of the palace walls, a beautiful, wild and wily Human Rover and a half-elf, who knows nothing of the great destiny that runs through his veins. Having seen an apocalyptic vision of the world’s destruction, Amberle leaves the palace in search of answers. But when Wil and Allanon realize that she is the key to saving the Four Lands, they set out to find the princess before the Dagda Mor’s Demons hunt her down. Wil and Amberle are kidnapped by Eretria and Cephalo while returning to the palace. But the Rovers are the least of their worries –Wil must learn how to use the Elfstones before a bloodthirsty Fury kills them all. While Amberle embarks on a deadly task to prove her worth to the Ellcrys, the Dagda Mor sends the Changeling, an ancient, shape-shifting Demon, to kill her and anyone in its way. But when a demon can take shape of anyone in the palace, finding it won’t be easy. Amberle, Wil and Eretria are forced to overcome their differences to survive the perils of their quest, including the nightmarish Reaper. At the palace, Ander attempts to recruit help from an unlikely ally to find the Dagda Mor - his brother’s murderer, Slanter, a Gnome assassin. On the run from the relentless Reaper, Amberle, Wil and Eretria take shelter in Pykon, a snowy Elvin outpost that houses a grisly secret. Meanwhile, Ander and Slanter make a devastating discovery about the Dagda Mor’s forces. 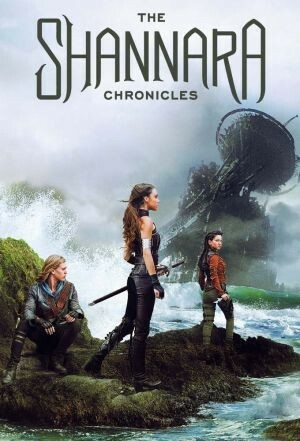 Amberle and Eretria run from bloodthirsty Elf Hunters who relish in cutting off elves’ ears for fun, while Wil searches for them with the help of an unexpected friend. At the palace, the King sends Ander and Arion to assassinate the Dagda Mor - with devastating consequences. Wil and Amberle desperately search for Eretria to save her from the vicious elf hunters who kidnapped her. Little do they know, she’s stumbled upon a secret settlement of Humans and may finally feel like she belongs. But their utopia is much more than meets the eyes. Meanwhile, Allanon must inspire Ander to accept his destiny. With time running out, Wil, Amberle and Eretria must cross ancient Human ruins to reach the Bloodfire. But a nefarious evil stands in their way, testing their friendship and manipulating them against each other. At the palace, Allanon and Ander stave off a coup while facing the imminent attack from the Dagda Mor and his army. Wil and Amberle race to reach the Ellcrys while Allanon and Ander lead the Elvin army in an epic battle against the Dagda Mor and his Demon horde. But the cost of their quest could prove too great, altering everyone’s destinies forever.